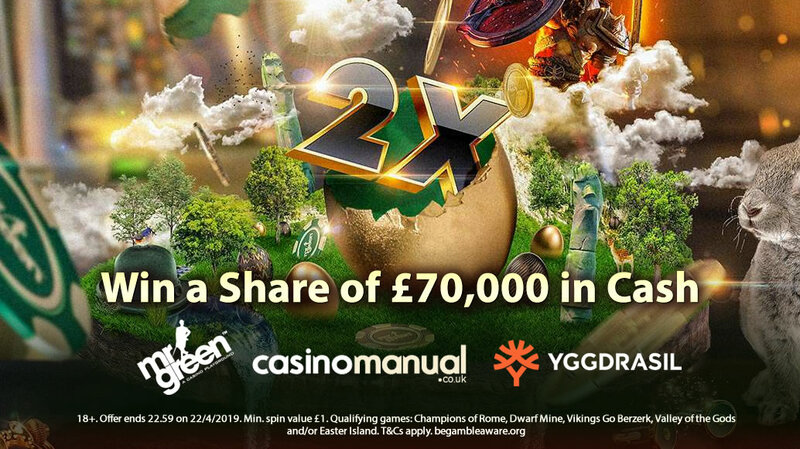 We’ve heard of Easter egg hunts but Mr Green Casino is celebrating the long holiday weekend with something potentially far more interesting, namely a £70,000 Cash Hunt. Players can win more than 1 prize during the contest. Our pick of the qualifying games is Champions of Rome. It’s a 5 reel, 20 payline video slot (from Yggdrasil Gaming) that comes with superb classical age design as well as some potentially exciting extras. Gladiator weapons can drop onto the reels to delivers special patterns of wilds. As well as a standard free spins round, you’ll also have the option to play the high risk, high reward Death Match Free Spins. You’ll then be offered 7 with a 2x multiplier, 6 free spins with a 3x multiplier or 5 free spins with a 4x multiplier. The wrinkle here is that you have to win a minimum number of coins in order to keep your prize. If you win under 22.5 times your bet, you’ll get a consolation prize of between 2.5 or times your stake or 5 standard free spins. Win more than 22.5 times your bet and the payout gets a 2x, 3x or 4x boost depending on how many free spins you played. 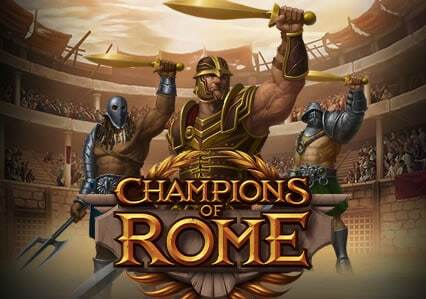 You won’t find many better looking and sounding video slots than Champions of Rome. The gameplay stacks up too. Take it for a spin at Mr Green Casino over the long Easter weekend and you could bag a bumper Easter egg prize. New players at Mr Green are eligible for an exclusive 20 no deposit free spins on NetEnt’s Starburst as well as a bonus of up to £100 and 200 more bonus spins (across various games).